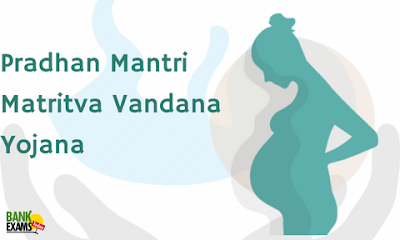 The Matritva Sahyog Yojana has been renamed as the Pradhan Mantri Matritva Vandana Yojana with slightly revised and a few changes focuses on the benefits of pregnant women. Under the scheme, every pregnant women citizen can claim a sum of Rs 6000. This will be carried out by the Ministry of Women and Child Development to help managing the physical needs that women might have when getting support through the scheme. About Rs. 12,661, crore will be used for implementing for this scheme. Women will receive support by covering any lost amounts of money that they could have gotten at their jobs which ensures that women can get the rest they need after giving birth or nursing. The benefits from the scheme are for women who have given birth to their first children also benefits that are provided will go to a proper bank account linked to that woman. The first payment of Rs. 1,000 is made at the registration process to prepare her for support with managing a healthy birthing process. The second payment is for Rs. 2,000 to ensure that a woman is able to get the help that she demands in any way. A third payment of Rs. 3,000 provided when the birth is registered include vaccinations for hepatitis B, DPT, OPV and BCG among other points. Lack of awareness about healthy nutritious food. Lack of Infrastructure in hospitals, that is availability of doctors, medical facilities, accessories like Scan, X – Ray, etc. These benefits will not be available for the women who are employed by the central or state government or in any other part of the public sector or who receive similar benefits under any other particular scheme. The need for this scheme is to facilitate the pregnant women population suffers from malnutrition and high maternity mortality rate, About 56, 000 0f every 100, 000 in India is deprived of sufficient pregnancy nutrition. The application process should be used in the same manner as that of other older schemes also a participant should be able to apply by getting one’s information out to a proper local governmental office.